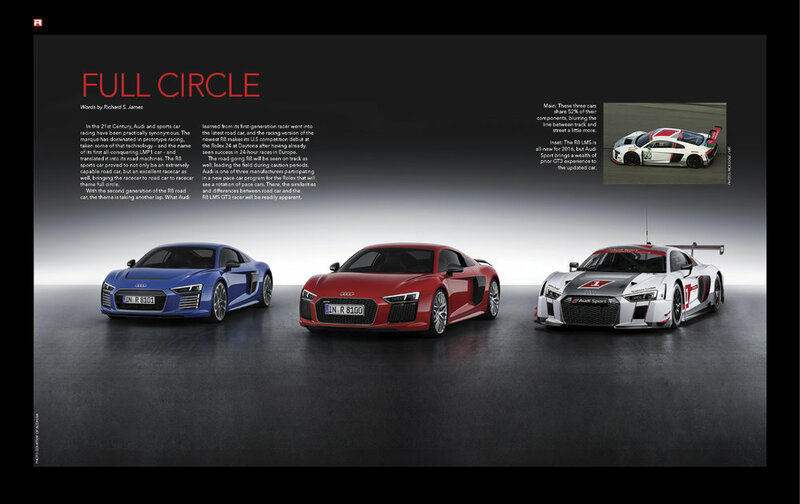 RACER Studio is a leading content, creative and experience agency specializing in automotive and motorsports. Our mission is to escape from the echo chamber. So, we work with clients to uncover authentic storylines, brand positions and experiences within the context of culturally relevant themes. When we can connect the power, beauty and emotion of the automobile or motorsport with endemic and non-endemic audience alike, then we all win together. From custom publishing to native content, RACER Studio finds the storylines that capture the authentic beauty, technology and human interest of motorsports and presents them through the lens of contemporary culture. Our creative work spans print, digital and video. We develop campaigns and collateral to convey the soul of your brand while stating a value proposition that comes across loud and clear, even when we are being subtle. Press events, photo shoots and corporate entertainment events are all ways that media and consumers can engage with your brand’s attributes with a tactile experience to go along with the narrative. Cadillac, and their media agency Carat, first came to RACER Studio in 2017 to develop a native content feature that announced their return to top rank of sports car racing after a nearly 15-year absence. 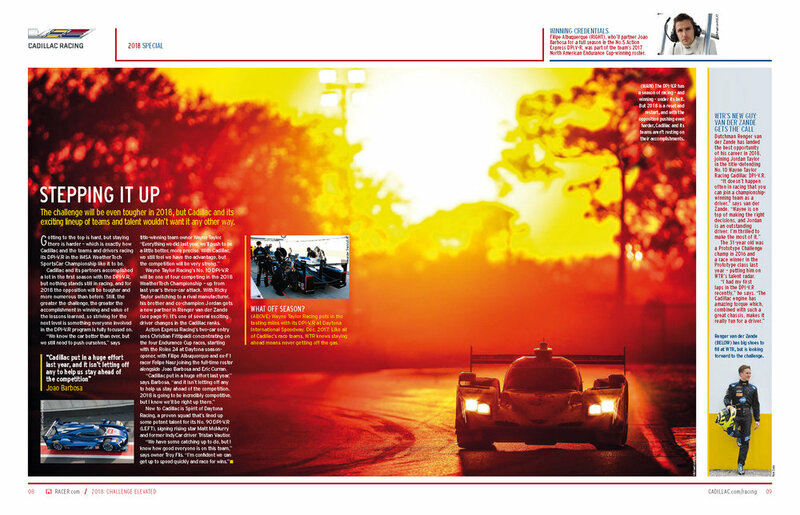 The result was a 20-page native content feature special section in that ran in the final issue of RACER in 2017 in time for Cadillac’s race debut in the Rolex 24 At Daytona in January 2018. Following a championship-winning debut season, Cadillac and Carat returned once more at the end of 2018 to put together a follow-up native content special section to celebrate their achievements. 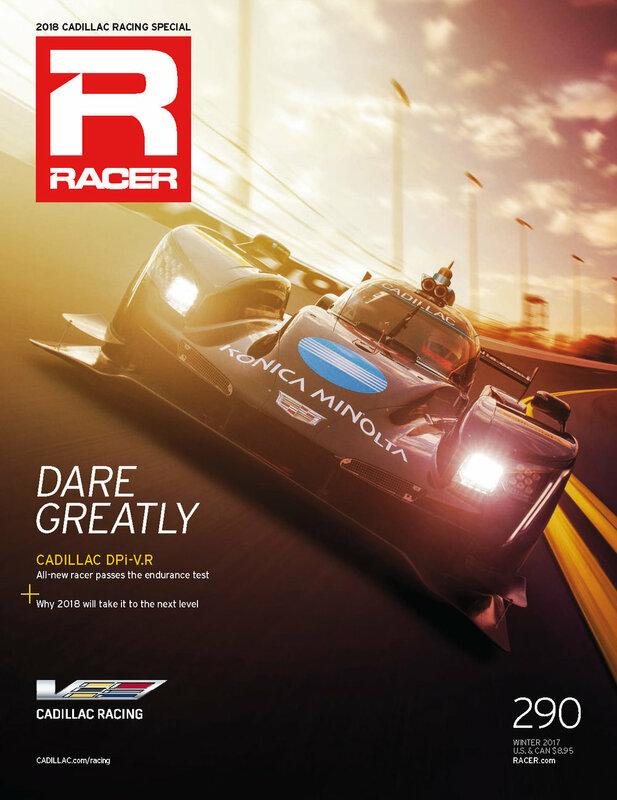 With both projects, it was essential to draw authentic connections between their race program and the production lines that share the racer’s DNA while also reminding readers of Cadillac’s racing heritage. Toyota’s relationship with RACER Studio (previously known as RACER Special Projects) goes back to 2001 when we created “One Aim,” a custom publication that focused on Toyota’s F1 team. 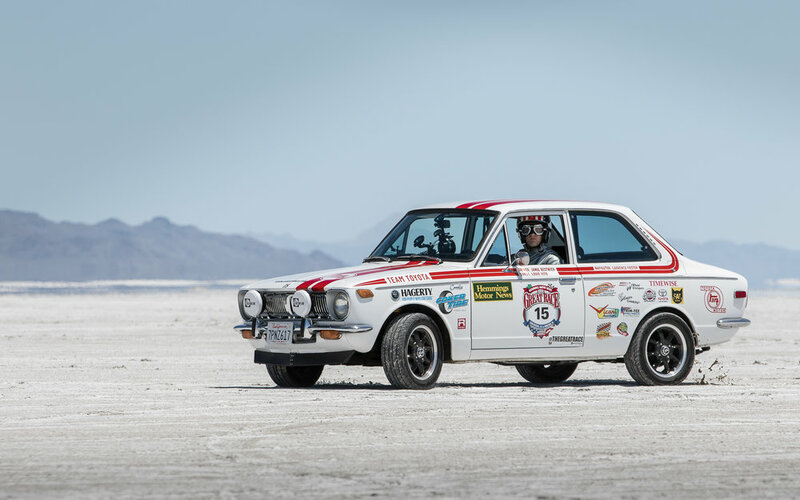 Recently, RACER Studio has worked with Toyota and TRD on a multitude of projects including the organization and marketing of an entry in the Baja 1000, North American rally racing and in the Great Race – all of which spawned video and digital content series. RACER Studio has also organized media events and photoshoots for several Toyota and TRD models in the U.S., Australia, Germany and Switzerland. 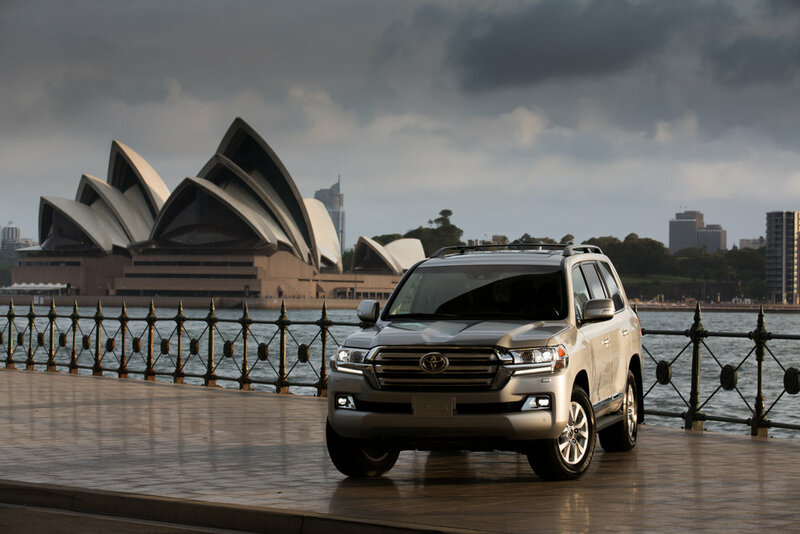 RACER Studio often collaborates with Toyota’s primary agency Saatchi, when our expertise is needed. RACER Studio has provided creative and content services to IMSA since 2014. Prior to that, sister company Pfanner Communications provided creative and brand consulting to the American Le Mans Series. Over the past five years, RACER Studio developed three branding and advertising campaigns for the series along with three expansive pre-season native content projects that have included direct collaboration with multiple series manufacturer partners. Most recently, IMSA charged RACER Studio with creating and producing a limited edition, premium coffee table book to mark their all-important 50th anniversary. Porsche is one of RACER’s oldest clients. More recently, RACER Studio has collaborated with Porsche Motorsport North America on several content projects including special native content features commemorating Rennsport Reunions V and VI. 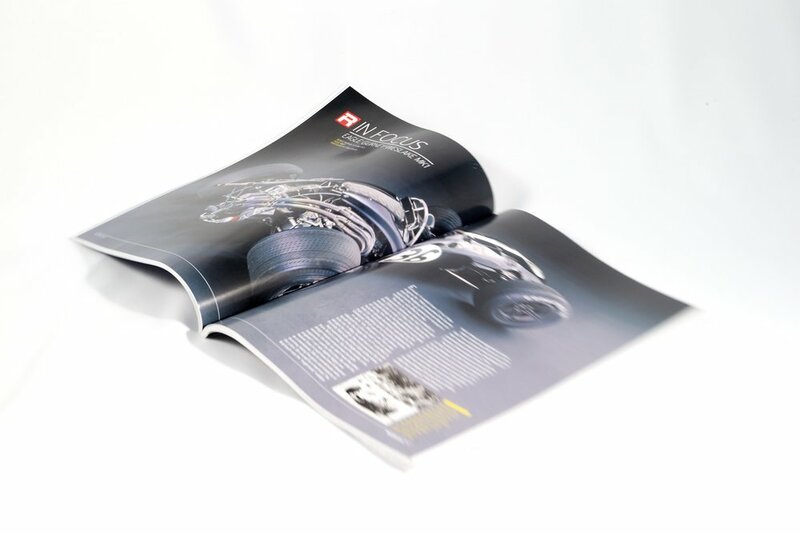 RACER Studio was also commissioned to create a unique book documenting the restoration of Porsche 962C chassis number 117 as well as commissioned the photography for Porsche 917 chassis number 015 which was also featured in a two-part native content feature.